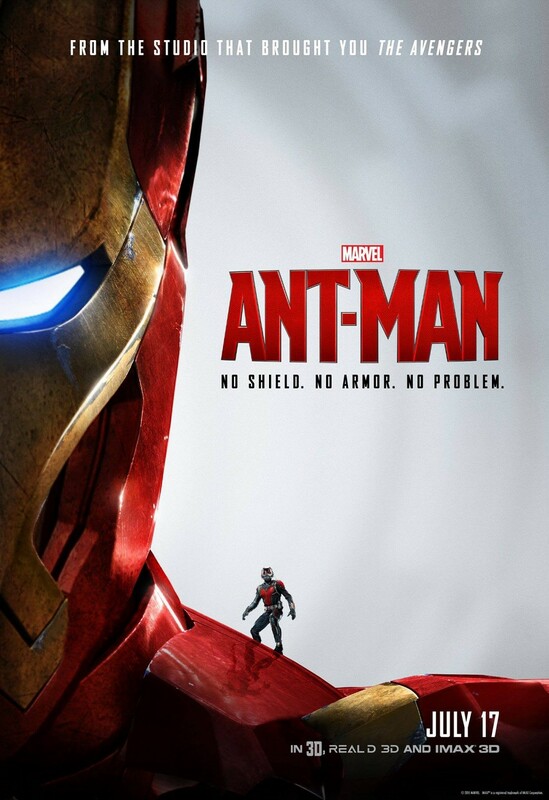 Ant-Man teaser poster (2015) | 'TAIN'T THE MEAT… IT'S THE HUMANITY! 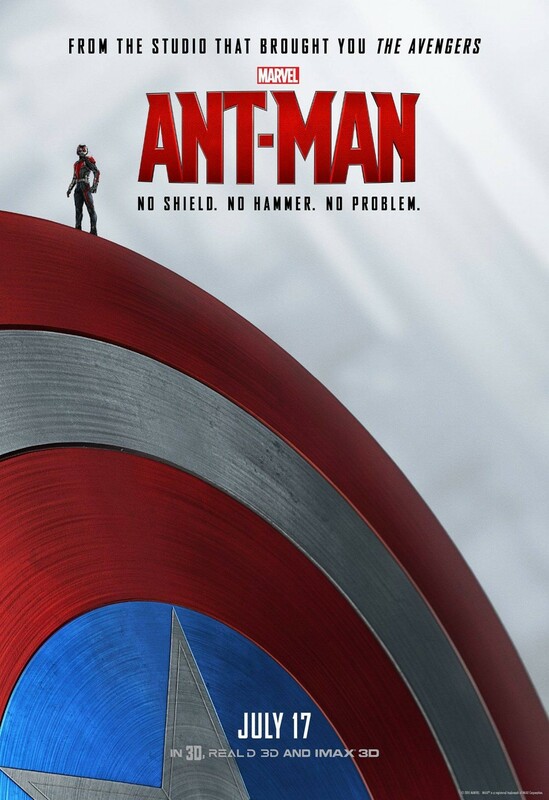 Is this didn’t win an award for cheekiest teaser poster of 2015, then Ant-Man was definitely a contender. 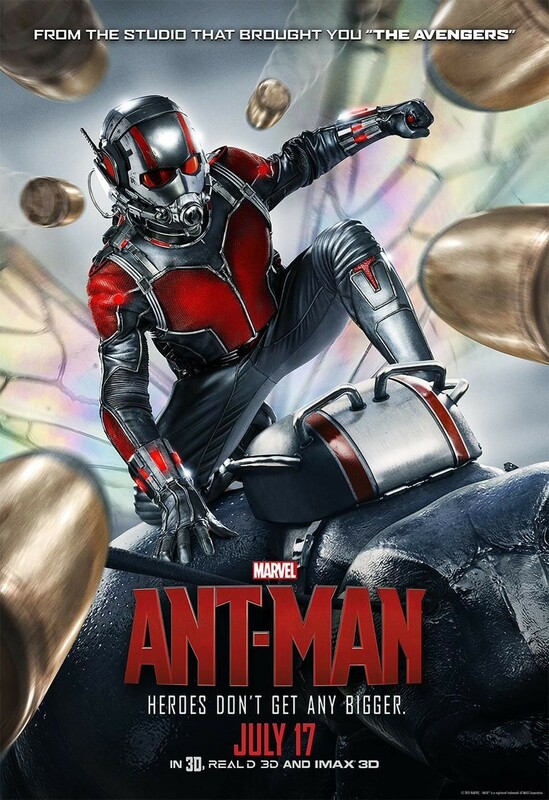 Starring Paul Rudd as a reformed blue-collar criminal who dons a suit that allows him to shrink in size, Ant-Man was released in 2015 to both critical and box-office acclaim. Based on the Marvel Comics character created in the early 1960’s by Stan Lee, Larry Lieber and Jack Kirby the film also starred Michael Douglas, Evangeline Lilly and, in fine comic form, Michael Peña. The film, directed by Peyton Reed was Marvel’s first superhero heist flick, and great fun it is too (I recommended the 3D version – the bath sequence is terrific). 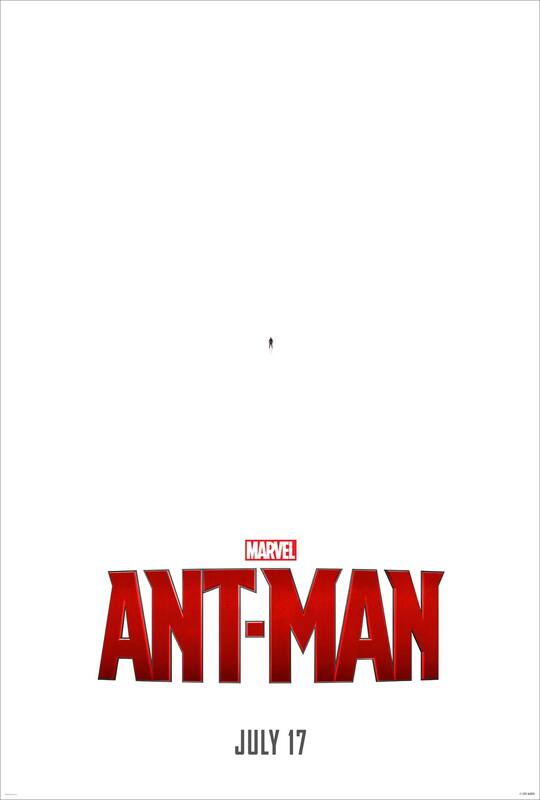 Released a few months before the film this teaser poster features a (very) small Ant-Man standing against a sea of white. It’s bold, fun and right on point. 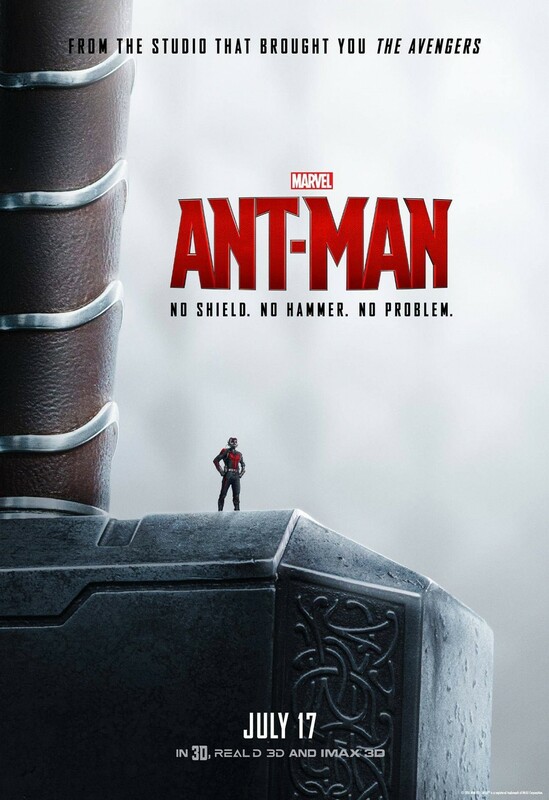 This actually wasn’t the first teaser poster released to promote the film; before this one came an action-packed, if rather mundane poster of Ant-Man riding an ant — Antony! — while dodging giant bullets (well, giant to him). It’s OK, but nowhere near as sweet as the poster that followed it. Although other posters for the film were released, including a more traditional photo montage version, Marvel also released three more tongue-in-cheek posters. This time they made the unusual choice of promoting who wasn’t in the film, namely Iron Man, Captain America and Thor, with the tagline No shield. No armour. No problem. The posters neatly reinforce the notion that Ant-Man is both part of the Marvel cinematic universe and a hero in his own right. Great posters for a great film — roll-on the sequel.